In a18 I don't had this type problem. I downloaded the a19 32bits and have many problem graphics with this new version. I wanna try with the 64bits. I saw your video again. I have some quesions. You only have 5 skirmishs on Stone snd Metal? How many womans You have on wood? I try observe, I count 15-20 womans, correct? I make this in my build, but I continue make soldiers at 10:30, tomorrow I will try get Phase at 8 min to test it. @Tango I play with Romans since a16, but this release are impossible played against arches mass or slingers. My solution was to use Seleucids I'm using Archs Cavalry about 3 weeks ago. But I use them only in the mid game to harass my oponent, expand and begin Phase 3, or make him resign. Since last week I'm testing other stratategy with Seleucids, rapid expansion with the colonies and Tower Rush. I can try to show you the other day in the lobby for you to do some video. Notes¹: Antiochus III, The Great give +2 armour type to all cavalry and Nisean War Horses give +20% Health. With all this you cavalry will be HP 192 12.6 Pircing (With "Will to Fight" you have 14.8) Damage and 7 Hack and 5 Pierce Armour. Notes²: You strategy it's more like a rush for Second Phase, in your video you just make fortress when the game was finishing. Maybe this strategy works better with Ptolemies because you can use Camel Archs since Phase I to harass the enemy. Yes, is possible, I know but don't remeber how I make. The stances I want know how each one works. How I attack just womens? Soldiers? Or Structures? How work the differents stances? Agressive, Passive...? Stronghold Crusade work in this form, but I don't think how made this in 0ad. Veru different system. I love the stronghold's system. Others things like make your own army with blacksmith is a great idea. @Topic In 0ad I think a granary and stockpile just gathering some % a total resources and other part continue in virtual storage. I think the damage is good, if I remember 37 piercing damage, but the ranged units now have piercing damage and the cav. are weak for this. The swordman cav can balance this with your rate attack, but for spearmen cav. this isn't possible. The hard and soft counters are differents, but I don't think are diametrically opposed. I agree with you the soft counter can be more interesting. But in part, in your example the ranged infantary have a good advantage against the spear cav. is very easy make a micro with them you just need aim, but for melee cav it's more dificult. Other thing, it's more interesting you don't know the result (in hard counter, you don't know the result, because you need make more units, you don't just use ranged infantary or cav, you need balance between your units), but know does not matter if I use swordman or spearmen infantary, you just need make a calc cost/benefit. And it's more interesting? I don't think so. In this case, the spearmen cav need a hard counter or need modifications in your status, you rate attack is very slow, 2.25. I retired a few days, but when I will back go test this. I think this branch will give more attention for infantary units, but if possible you can give attention for cav too. I don't know if sword cav need nerf or upgrades. But the spearmen cav need modification, without hard counters this units don't have more utility (You can read some considerations of Panando about the spearmen cav here: http://www.wildfiregames.com/forum/index.php?showtopic=19421&hl=). Your status is a little above of sword cav, but the great diffenrece is your rate attack, is 2.25 secs. I ask if anyone can test this in SVN, but I think is to easy ranged infantary with micro take over a spearmen cav easily. I put Random option now. Actually I play with Romans, it's my preferred civic. When I begin I play with Iberians and after with Maryans, but the Romans conquest me. 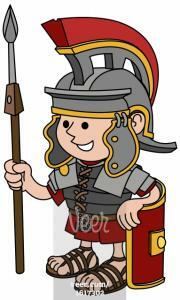 I play with seleucids sometime ago, but I back with Romans soon. The Romans have a great infantary and siege weapons, it's hard play with them because the cav. are the main units yet, and the romans don't have a good cav, just swordman cav with great cost in late game.